Welcome to the West Hancock Ambulance Service(WHAS) web site. We would like to invite you to take time to read about our service and show you the service that we, as members, are very proud of. Enjoy! 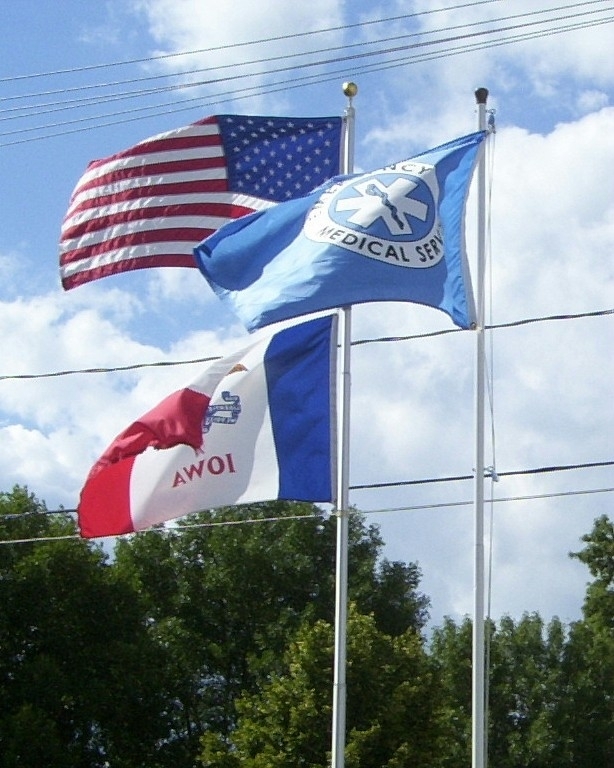 The West Hancock Ambulance Service (WHAS), got started in Britt,IA in 1976 by a group of dedicated people who saw the need for an ambulance service in town. We have come a long ways, from our 1974 Cadillac to our present units, in updating our equipment, maintaining one of the most updated services in the North Central Iowa region. We have two ambulances that are used regularly and are equipped with the latest equipment. We have a 2002 Medtec and a 1999 Lifeline. We serve all of Western Hancock, East Central Kossuth, North Central Wright and Far South Central and Southwestern Winnebago Counties in North Central Iowa, including the towns of Britt, Kanawha, Corwith, Crystal Lake, Woden, and Wesley. We cover over 400 sq. miles and average over 500 calls per year. We currently are a Paramedic service with a staff of 3 paramedics, plus 50 EMTS, First Responders, and drivers that make up our service with over half having EMT-B & EMT-I certification. We are also a members of the Hancock County EMS Association & North Central Iowa EMS Association.